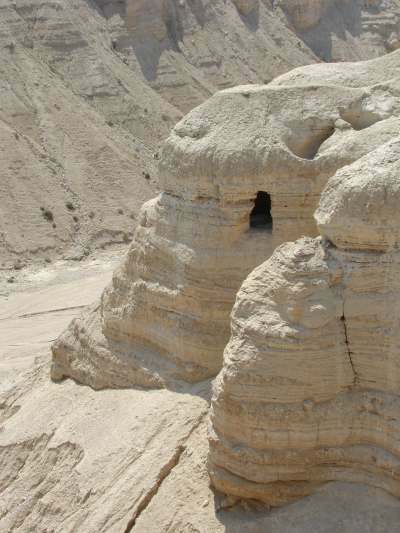 Qumran is where some Bedouin shepherds found the Dead Sea Scrolls in some caves back in 1948. The scrolls were written by a bunch of hermit monks (the Essenes) before the time of Christ. 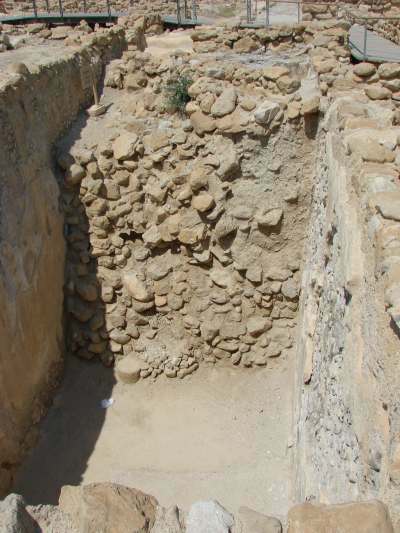 They contain, among other things, parts of every OT book of the Bible except Esther. The text of the scrolls were almost exactly what we had in our Bibles up to this date, so that confirmed the accuracy of traditional manuscript copying techniques. 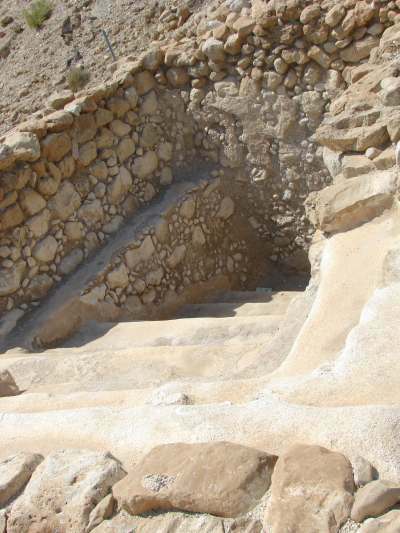 The Dead Sea Scrolls are probably one of the most important archaeological finds of the 20th century. 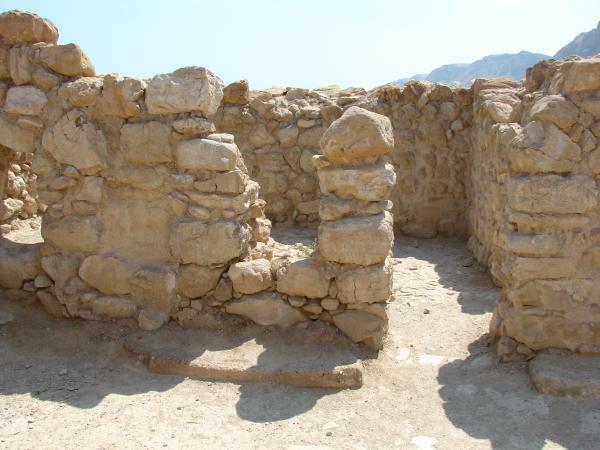 There’s a small excavation in front of Qumran with some rooms and baths. Some of the rooms are pretty large! Here’s a cistern used for trapping runoff water. To get an idea about how large it is, take a look at the white thing on the floor, 1/2 in the shadow. It’s a baseball cap. 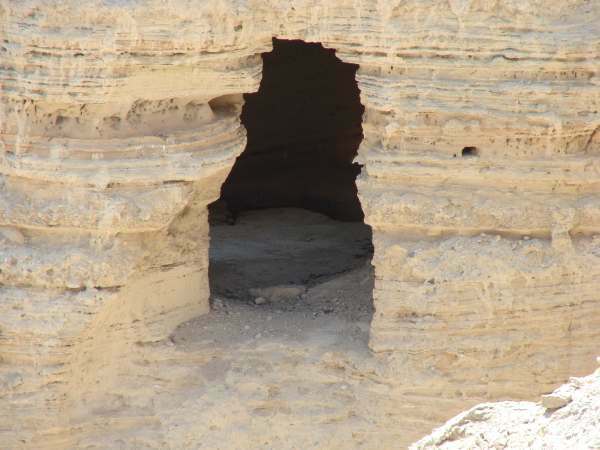 The place is littered with caves. Here’s a closeup, courtesy of the Sony DSC-H2 12x zoom. 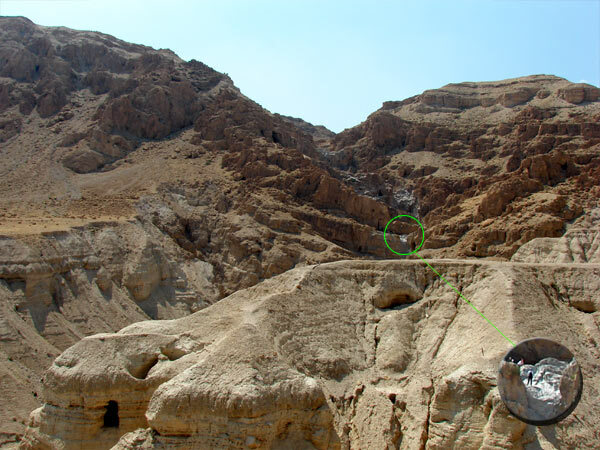 The area of Qumran is pretty large. Off in the distance, you can see white-covered rock. This happens over time as rain water comes down the mountain. I noticed a guy rappelling on the face of the cliff where there would be a waterfall when it rained hard. Thankfully it was dry that day.